Product prices and availability are accurate as of 2019-04-07 10:07:00 EDT and are subject to change. Any price and availability information displayed on http://www.amazon.com/ at the time of purchase will apply to the purchase of this product. 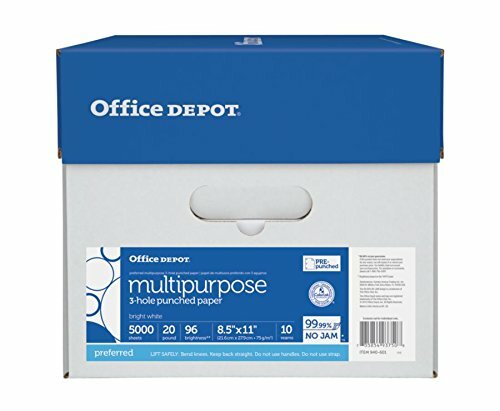 Projects look crisp, clean and professional on this Office Depot brand multipurpose paper, which boasts a bright, smooth surface. Thanks to ColorLok technology, your text and images stand out on the paper. 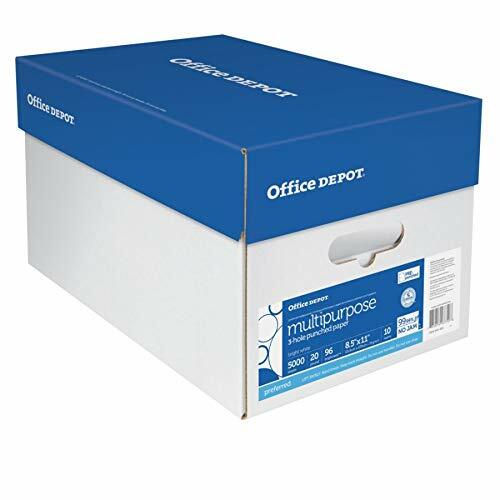 Office Depot paper with ColorLok technology for bright colors and crisp text without smearing. Smooth, clean finish and precision-cut edges enable problem-free feeding. Acid-free multipurpose paper won't yellow or fade over time. Versatile paper works well in most printers, copiers and all-in-ones. 3-hole punched, letter-size paper with 96 brightness. SFI certified.